Preparation for the 1Z0-045 Oracle Database 10g DBA New Features for Oracle 8i OCPs should begin with the exam guide itself. This is where a good grasp of the topics and objectives that will be covered in the seventy-eight questions will begin. The guide is where a breakdown of the topics such as Oracle Server security, online operations, memory management, manageability infrastructure, and loading and unloading data begins. It takes all the topics and shows the objectives whether they be descriptions, monitoring, managing, using or creating. A minimum score of seventy-three percent will be the requirement to pass. A solid place to start acquiring these skills and knowledge is through taking the Oracle Database 10g: New Features for Oracle8i DBAs. During this course the following topics are just a sample of what will be covered; backup and recovery, globalization support, resource manager enhancements, tablespace management, installation, and application tuning. It will take a minimum of seventy-three percent to pass the exam and apply the credit towards the Oracle Database 10g Administrator Professional certification. 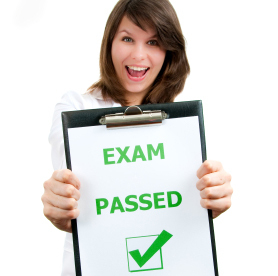 Before taking the exam a suggested way to determine if the knowledge is up to par is by taking practice exams. These practice exams from ExamTrace can determine areas that need more work before the actual exam. There's always a new app coming out, and there's never a bad time to highlight them. Sometimes we get bogged down with the sheer amount of apps to be covered, but hey -- it is what it is. 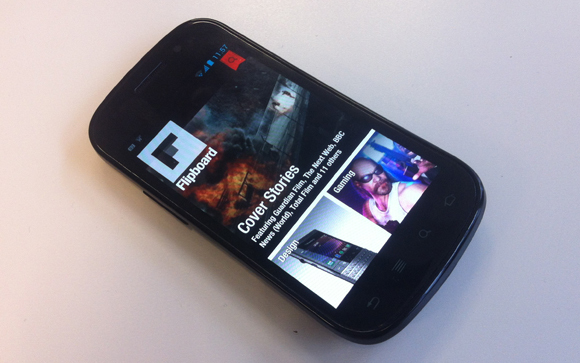 We definitely wanted to cover Flipboard, especially now that it's being placed over to Android. This is an app that started out on the iPad scene and was ported over. What does it do that's so earth shattering? Well, it makes reading things on your tablet a lot more streamlined. Everything is turned into a magazine like view that you can flip through -- hence the name. Facebook feeds? No problem. Google+? No problem. Twitter? Too easy. YouTube? You bet. But what also makes Flipboard interesting is that it scales to cover both the 7 inch tablets and the 10 inch tablets. The tablet experience isn't as solid across different sizes as many would like, but it's getting better. The app handles various screen sizes with ease -- not having a problem with taking advantage of widescreen displays. It's all good as far as Flipboard is concerned. Flipboard HQ indicated that it worked with Samsung closely to make sure that the app performs great on both the Galaxy Tab and Galaxy Note, but any other Android tablet will do nicely. This means you Nook and Kindle people can join the party as well. Google is really trying to get developers on board for this push to make the tablet experience more interesting. Will it stick? Perhaps -- but only time will really tell what users have to look forward to. Flipboard is a free app that you should definitely download and check out today. Have fun! When it comes to automation apps, Android is where it's at. You can make your phone do a lot of really cool stuff -- all without alerting you, if that's what you want. JuiceDefender tweaks your device settings to provide maximum battery life -- how cool is that? This is a very popular VoIP app that runs circles round Skype. 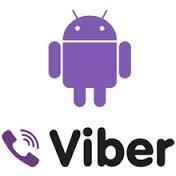 If you're tired of the classic issues with Skype, then you need to look at Viber a little closer. This is our favorite IM client. It covers Skype, Facebook, Google Talk, MSN, ICQ/AIM, Yahoo, Jabber, and MySpace. Just about everything you need is included in this app. We covered the Nexus 4, the 7, and now it's time to go ahead and talk about the Nexus 10. In our traditional fashion, we staggered the review to catch any type of updates that might have come out. 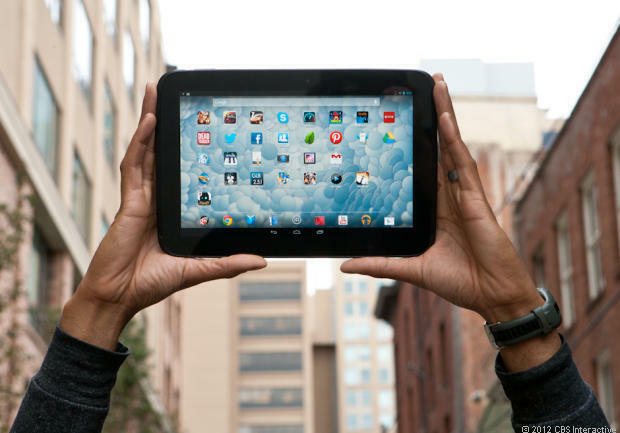 Bleeding edge tech definitely has its share of bugs, we have to admit -- we've been dying to cover the Nexus 10. Google has really outdone themselves with this tablet, but we figured that we'd give you a full review. Catching technology after it's had a chance to "age" also gives you a break on the price, but you're still going to find that full retail value exists for the Nexus 10 in most cases. Let's go ahead and start with the obvious: this is a 10.1-inch panel with a stunning 2560x1600 resolution. You might remember that resolution first with the 13-inch MacBook Pro with Retina display. The tablet itself is manufactured by Samsung, which isn't a bad partnership. You'll fight a 5MP camera that can handle 1080p recording, along with an LED flash. Sorry tech fans, we know you're tired of LED flashes but it looks like they are definitely here to stay. Nothing we can really do about all of that. There's two physical controls -- the volume rocker and a power/lock button. However on the left of the tablet edge you're going to find micro-USB and a headphone jack (3.5mm). There's a pogo pin connector and micro-HDMI along the bottom. We really find ourselves excited about micro-HDMI, which means that we can beam our stuff to a bigger display -- like that 60" flat screen you picked up on Black Friday or as a totally sweet Christmas present. The speakers really carry this tablet, and there's also another camera -- this time 1.9MP that's capable of 720p video recording. As far as connectivity goes, it's only Wi-Fi. There's some talk about expanding this to actual cellular tech, but it's not coming anytime soon. There's support for b/g/n, but no 'a'. I guess it's time for the 802.11a people to upgrade already. You have some power under here -- a 1.7GHz chip, which has dual-core configuration even though it could easily go quad-core in the future. There's a dedicated GPU along with 2GB of RAM. You can go with either 16GB or 32GB storage. It's not expandable, so if you really get worried about space -- go with the 32GB. GPS, Bluetooth 4.0 and NFC also fill in for you, which isn't a bad thing either. We had to really jump back to the display. It really is a thing of beauty. There are a lot of pixels involved in a small 10.1-inch LCD panel. Certainly more than HDTV would have, and that's at 1080p. The display is incredibly sharp -- graphics pop, and text is very sharp. The user interface practically begs you to navigate it. Sometimes, it's a good point to look at exactly what you're getting when you're talking about something. 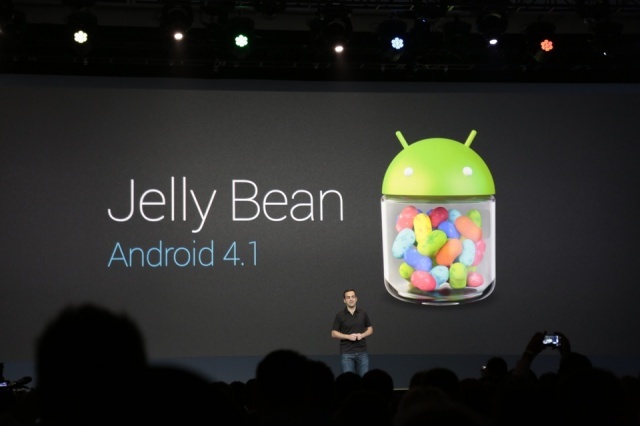 In this case, we're talking about Android 4.1, code named Jelly Bean. Jelly Bean brings some interesting features to the table, so we decided to create this guide to bring you up to speed. Note: at the time of this guide, 4.2 has come out, but there was enough changes that it will have a guide of its own. Thanks. Speed is one of the top concerns of Jelly Bean. Everything is supposed to feel fast, fluid, and smooth. Each screen should be moved through like flipping through the pages of a well loved novel. There are some performance boosts, including faster responses when going between apps, as well as great rendering through the whole system. Vsync and triple buffering take care of that for you. It's all about responsiveness as a whole. Jelly Bean is taking things to the next level by adding in reactive and uniform touch responses. Your device's CPU can be raised or lowered based on how you're interacting with your device. How cool is that? It gets better, of course. Accessibility has been a hot button issue in Planet Android land, for good reason. Open access to everyone is very important, and it would definitely make waves for Android to lead the way to a new era of accessibility in 2013 and beyond. Jelly Bean lets blind users use Gesture Mode to navigate around the entire user interface -- coupled with speech output, of course. For people that have a hard time seeing the screen's text due to small fonts, you can enlarge instantly. What more could you want than that? Actually, a screenreader would be nice. Meet TalkBack, a screenreader for Android that supports gestures to the fullest. There's also BrailleBack, which gives better accessibility options in the Braille category. 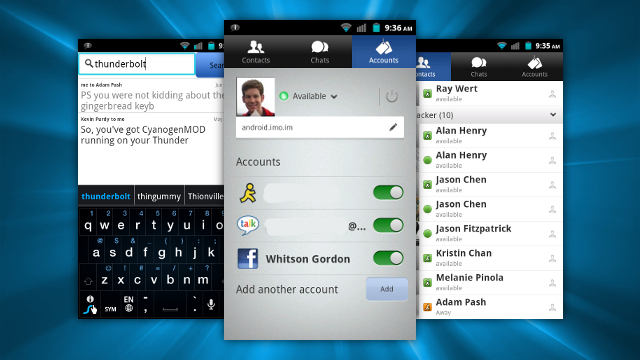 Android Beam also makes a big splash. You can easily share all of your photos and videos. To activate Beam, you can just pair your phone or tablet to any Bluetooth enabled device that supports Simple Secure Pairing -- just tap the devices together to activate the magic. There's better support for USB audio docks, something that many Android users have been looking forward. The browser got a major update in Jelly Bean, focusing hard on HTML5. It's the new web standard and many sites are switching to HTML5 full stop. It's good to know that android will give the end user the ability to experience the full richness of HTML5 while they are on the go. HTML5 video support has been enhanced a great deal. Calendar got an update as well -- content fades in and out, animations are there to remind you of important tasks, and you can quickly swipe through days. If you've given your event a specific color, it's going to keep that color on the phone. The today button on the action bar will show you the events of the day -- and remind you of what's around the corner. You can even auto-email guests of events to let them know that you’re on your way to a particular event. Camera is looking great as well -- you can swipe from the camera viewfinder to review photos that you just took. You can also view photos in Gallery through filmstrip mode, flipping through photos with ease. Data usage has gotten better than ever -- you can disable background data usage on certain Wi-Fi locations by making them mobile hotspots. Android will automatically detect this from then on, saving you precious data -- perfect for those that aren't on an unlimited data plan. The keyboard is all about customization. Tired of QWERTY? Go QWERTZ, AZERTY, or even Dvorak! This leads to messaging perfectly. The new notifications display gives you the full text of incoming SMS messages -- something that has long annoyed Android users for a while now. You will also see the full photo in a notification. This is great when you really don't want to have to open up the full app just to see a quick message. Networking updates? Yes, please! Jelly Bean lets you make sure that you avoid bad Wi-Fi networks that have poor connections. You can stay on mobile data and get the best connection. Who really wants to deal with some wimpy data line when you have LTE, honestly? There is a People app that truly makes your phone quite social. You can retrieve high resolution photos automatically and display them as you're looking through to find contacts on the fly. This helps you really connect with who is in your network and who isn't. You can also add new contacts much faster than before. The phone app got some updating as well. When you miss a call, a new notification will easily let you call them right back or even send a quick SMS. This is really smooth, and we like that a great deal. The best thing that you can do for yourself would be to check out the full list of features at Google Android headquarters, then see if your handset has an upgrade to 4.1 -- you will not regret it at all!